Discover our hotel on the Luxembourg border, where a friendly and dynamic team awaits to ensure you enjoy a pleasant stay. Experience a new dining concept at the Grape Bar Food and Drink restaurant. By car: 15 mins to Amnéville (Thermes), zoo, Snowhall, Walibi theme park, golf course, Le Galaxie theater venue. 20 mins to Luxembourg. The bar is open 24 hours a day to welcome you for hot and cold drinks whenever you like! The stay was highly agreeable. Very good but the evening menu could have had more selectioon ie Lasagne or a pasta dish. Clean comfortable room. Only one thing missing, Tea & coffee making facilities in the room. This is a great hotel. The breakfast was superb. I felt that person on the morning shift had his hands full with so many Chinese tourists. Probably having two persons, one for the reception and one to help manage the breakfast area, would have made more sense. The people working at this hotel are friendly and nice. The hotel room was also clean. or you or booking service pit me in a bad situation ! I've made a reservation very long time ago and the price was acceptable. After two weeks I received a cancellation [status of my card was in doubt !] I've made the reservation directly to the hotel, and the cost was higher 20% more - I had to accept. My card is VISA - Groupe Societe Generale and it is no doubt it is reliable (I've payed at the hotel - what proof do we need more to believe ?) Once arrived I couldn't work, because the lamp on the desk was not lighting and the receptionist - a lady, was very busy due to people coming so I have to wait. Finally the same lady (very helpful by the way, came to change the lamp). For the other aspects I can say it was good and beyond. Nice Bedding, Good Parking facility. We stayed at this hôtel on 2 separate nights on our way to Holland and Back Home. Upon our first arrival we ventured towards the réception, not as friendly or professional as the Accor staff Hotel we usually encounter, no smiling face to welcome you, we felt like we were disturbing something !! Our shower had hairs on the wall too. The plus here was the car ample parking space! Hotel was easy to find from the A31 motorway and comfortable for the one night. We walked into Thionville and found a nice restaurant for dinner. There was some noise from the adjacent car wash throughout the night but the room and bed were comfortable. There was plenty of secure parking, which was important to us as we were carrying bikes in our car. A good overnight stay with all the things you expect of an Ibis Hotel. Comfortable , clean, good staff and a reasonable quality evening meal and breakfast. The dinner, bed and breakfast offer was good value and made the expensive roomrate a bit more acceptable. Clean well maintained hotel, good staff and a well priced dinner and breakfast. Comfortable bed and in a good location just off the autoroute. Excellent ibis standards. Not very good location, but still value for money. Nice staff, clean rooms and just enough for sleeping when on the road for Southern France. Restaurant just enough to stop your hunger. 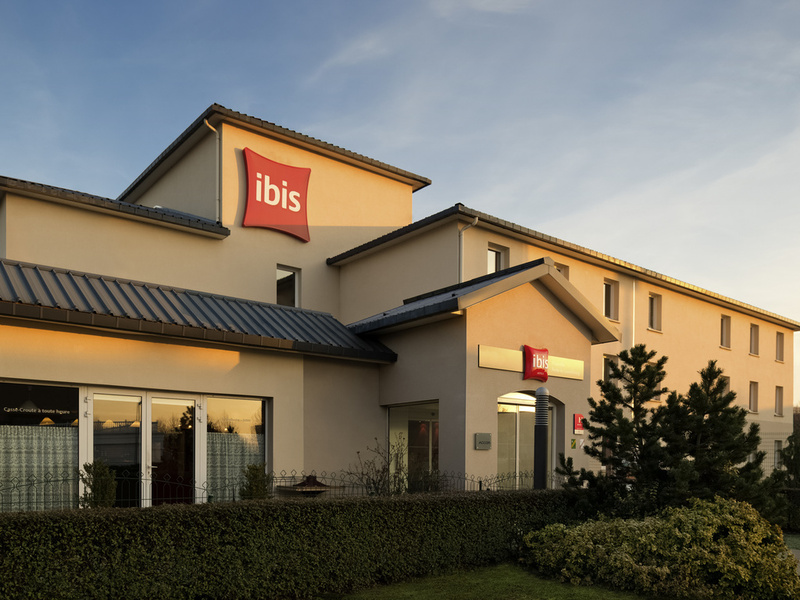 A good Ibis.Can recommend for overnight travellers. Superfast check-in, check-out, great breakfast, excellent bed, no noise, wellcome drink. As always an excellent greeting at this hotel, and this at 2300 hrs just as the evening shift were off home. Couldn't have been more helpful to make our late arrival smoothe and stress free. Excellent room, bathroom and bed. On arrival the receptionist was good and spoke English. The room was nice and the bed very comfortable. The morning receptionist was equally good and gave directions. The worst experience was the evening meal which was part of the package I bought. We did not enjoy it at all. The breakfast was good. Convinient, close to motorway and a 20 minute stroll to the centre of the town. Very modern and clean. Secure parking. Reception staff were friendly and very helpful.